Global PAN IIT 2013 Conference Houston was held from Friday, Dec 6th to Sunday, Dec 8th. All attendees enjoyed this conference for its excellent execution, good fun, inspirational speakers, and fantastic content like the insightful and thought provoking keynotes by Nobel Laureate Amartya Sen (noted economist), President Vicente Fox (ex-President Mexico), Blake Irving (GoDaddy CEO), Gene Kranz (Flight Director, Apollo 13) and other stars. 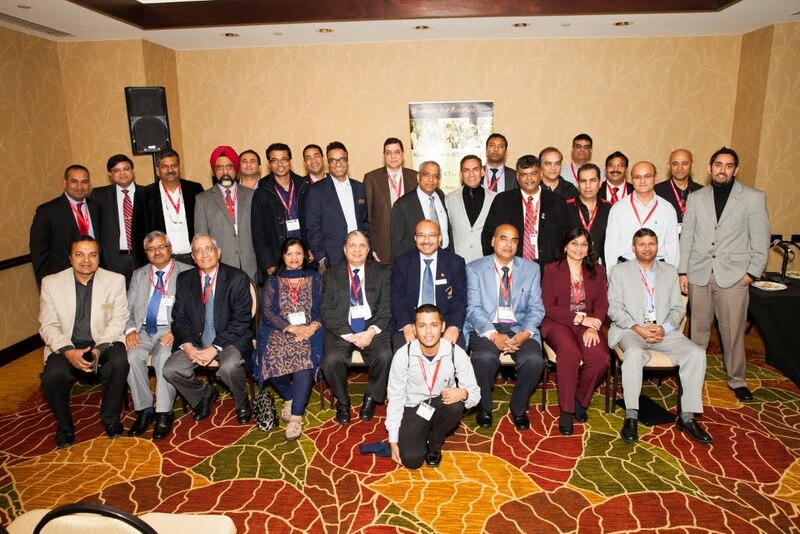 The conference concluded with the baton being passed for PAN IIT 2014. IIT Roorkee will be the host of next conference in 2014 to be held in Delhi. Mr. Himangshu Vaish, Chairman PAN IIT India, accepted the baton on behalf of IIT Roorkee. Centre of excellence in (a) Packaging at Sahatranpur Campus (b) Urban Planning and Development, and (c) Healthcare Engineering. These centres currently operating in virtual mode in their initial stageand are making steady progress. A RailTel IITR Centre of Excellence in Telecom (RICET) has been recently established at IIT Roorkee under sponsorship from Department of Telecommunication, Govt. of India and RailTel Corporation of India Ltd.
A futuristic Master plan of IIT Roorkee Campus has recently been completed by a San Francisco based architectural company EHDD, the first phase of new Construction is now being undertaken. It includes - New Hostels, Lecture Hall Complex, Students Activity Centre etc. Read more on IIT Roorkee's Task Force.. 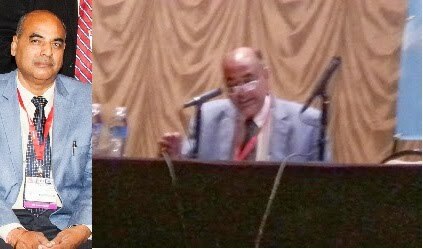 This conference was special with IIT Roorkee's Pratish Kanani (BE '87 Mech) leading the charge as the co-chair. Hats off to him, it was an awesome event. All the attendees had great things to say about it and it set the standard for all subsequent events. Read More..
Amit Singhal (BE '89 CST), SVP and Google fellow, received the PAN IIT Leadership award for his achievements in technology - isn't that something !! Read More..
Prof Sudhir Jain (B.E. 79 Civil), Director IIT Gandhinagar, was among the alumni attendees. Hersh Kumar’s (B.E. '78 IE) talk on ‘How to Succeed in Business’ was a huge success. He also supported the next generation entrepreneurs with sponsorship and venture funds for Business Case Competition. Read More..
Ms Purnima Gupta (B.Arch. '68) received the PAN IIT Service award - a well deserved recognition for her invaluable contributions to the PAN IIT movement. Read More..
Sanjiv Sinha (BE '89 CST)and Kush Tandon (M.Tech. '87) led the informal events, enjoyed by all with quizzes, singing and whole lot of fun. Roopa Gir (MTech '74) was instrumental in getting this conference to Houston by preparing the bid and winning it eventually. She was a conference advisor. And.. thumping rocking evening with "Dum Maro Dum" and "Hari Om Hari" - Usha Uthup. Last but not the least.. Excellent food. For full coverage visit iit2013.org and https://www.facebook.com/iitGlobalConference. Thanks to Hersh for the post conference tea and Roopa for post dinner tea - It was fun!! We were privileged to have some of our senior alumni, some of the senior most alumni being Mr Gyan Agarwal (BE '60 EE) with Mrs Sadhna Agarwal, Mr Shailendra Endley (BE '63 Civil), Mr Ashok Nagrath (BE '64 EE) and Mr Haku Israni (BE '66 Civil) as the attendees. We thank all the attendees for their time during the campus meeting at the conference for the updates from Prof S C Sharma (Dean Alumni Affairs) and IIT R Heritage Foundation (Manoj Goel, Harish Goyal, Prady Misra and Aditya Gupta). For the newsletter and updates, please sign up at http://www.iitraana.net/ or contact via email iitraanasa@iitroorkeealumni.org.